Unsane, Steven Soderbergh’s latest film, is a strange amalgam. Shot entirely on iPhone 7 Plus, the film’s grass roots filmmaking is contrasted by a professional cast and a relatively sizeable $1.5 million dollar budget. Compared to similarly shot films like Tangerine and Escape From Tomorrow, that cast mostly unknowns on a shoe-string budget, Unsane is effectively an amateur-shot professional film. Coupled with the knowledge that Soderbergh shot the film in secrecy last year and released it less than a year after his return from filmmaking ‘retirement’ with the rollicking heist caper Logan Lucky, it seems fair to say that he’s out to prove something. If that is the case, then by successfully emulating a studio film on an iPhone, Soderbergh has sent another clear message. If Logan Lucky was a pushback to studio meddling, then Unsane is a middle finger to studio excess. The story follows Sawyer Valentini (Claire Foy), a woman who voluntarily submits to a support clinic after enduring years of harassment from a stalker only to find herself involuntary detained in a psychiatric ward. Believing her stalker (Joshua Leonard) has managed to follow her and become an employee of the ward, Sawyer begins to act out only to find her outbursts further legitimise her as a mental patient. With no one willing to believe her, Sawyer begins to question her own sanity. Is she really sane, insane or, maybe, unsane? The film is a psychological horror movie pendulum, moving back and forth between what is real and what is a delusion. There are enough twists and turns over the film’s 98 minutes that audiences might start to follow Sawyer and question their own sanity by the film’s end. While much has been said about the decision to shoot the film on an iPhone from a practical perspective, little has been said as to how effective it is as thematic device. The raw and unfiltered look provided by the iPhone marries well with the film’s thematic descent into madness. Most of the scenes take place in dimly lit corridors and sterile, stuffy looking rooms and the off-kilter filming style helps heighten the feelings of malaise and unease. The minimalistic filmmaking also gives the performers more to do and they rise up to the challenge. In a standout scene Sawyer confronts her ‘stalker’ and the standoff between both Foy and Leonard works like two performers in a play. The two command the screen as they go back and forth trading sharp words, with the camera unobtrusively hovering between them. It’s skilful filmmaking like this that makes Unsane not feel like just an effective experiment but a solid film in its own right. Most studios seem to be increasingly bloating their film budgets to justify a cinema-going experience. Soderbergh’s solution to that? Release a film shot on an iPhone and give it a wide theatrical release. 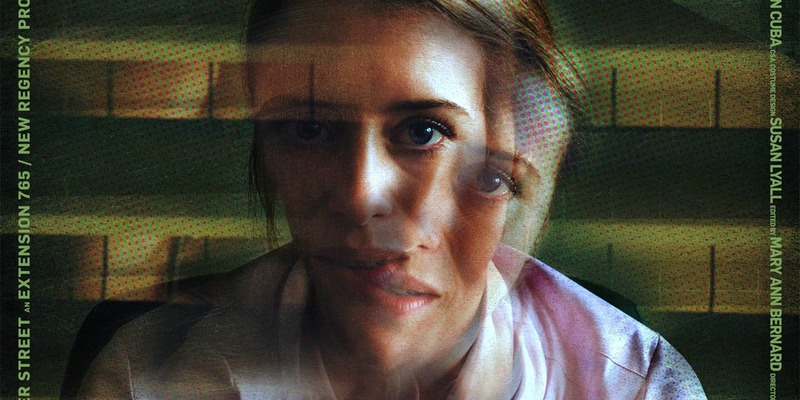 While that may seem like a strange and ballsy move given the growing popularity of streaming platforms, Unsane proves above all, that iPhone or Imax, it’s not the camera that matters but the story. Those willing to submit themselves to Unsane’s psychological puppeteering will find themselves taken on a fun ride, one that doesn’t stop until the very last scene.